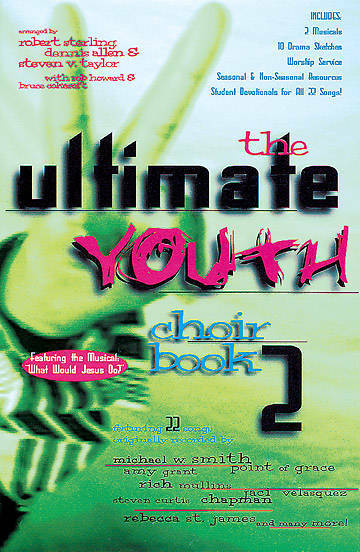 This "must have" resource for youth choirs features two musicals (including "What Would Jesus Do? "), ten drama sketches, a worship service, seasonal and non-seasonal resources, and student devotionals. Contains songs originally recorded by Michael W. Smith, Amy Grant, Point of Grace, Rich Mullins, Steven Curtis Chapman, Rebecca St. James, and more.